A few things to wrap up with today. There’s really no reason to recap last night’s episode. THIS is the story of the season, the story of the last 9 seasons, and will dominate headlines for the next 5 weeks. Granted, certain outlets who can’t spoil the show (E!, TVGuide.com, People, Ben & Ashley’s podcast, etc) can’t/won’t cover it, but there will be plenty of talk about it on social media. I just don’t feel recapping how he acted on his date with Seinne or Bekah is relevant at all anymore. Hell, any date that doesn’t involve Becca or Lauren the rest of the season is pretty irrelevant when you think about it. But because I’ve spent so much time talking and emailing with people about this over the last 5 days, and knew that today was going to be spent talking about what’s happened post show, I hope you don’t mind me taking a week off from the recapping. Next week, back to recapping the episode and boy will that be fun. Since last Wednesday when I posted about the vans at Lauren’s parents house, I purposely did not respond to any tweets or emails which asked/begged/pleaded for info on what the story was behind it. I told you when I had your answer you’d get it, and you got it today. And I understand it will still be doubted, mostly just by people who want to see me be wrong. It’s a sad existence they live I know, but hey, that’s why they’re called trolls. There’s nothing I can do to show you that what I posted today is true. I have no Nick videos. I have no text conversations. You’re just gonna have to believe me on this. The ones who do? I appreciate it. We all can just sit back and laugh at the ones who will fight this all the way up til March 5th. It’s comical how much venom you will see thrown my way when all I am is the messenger. It’s the same thing every season. But more so this season I know it’ll get under people’s skin because, well, everything I said about Arie ended up being true. And. It. Drives. People. Nuts. Don’t be mad at me because I was right. Be mad at yourself for buying into this crap. But that would involve self-reflection and admitting the narrative you were trying to sell yourself that you see on screen once you knew Becca was his final choice means absolutely nothing right now. And trolls don’t ever admit they were wrong. I’m sure there will be a lot of people dissecting every single thing that Arie, Becca, and Lauren post on social media from now until the finale. Hey, knock yourself out. Those two IG story pictures that Becca posted the last 2 days (before I released what I did today) carry a double meaning now. But now that the spoiler is out there, we have no idea how they’re going to change their social media activity, if at all. Whatever they do, it won’t matter. So all I ask is you save all your, “What does this mean” questions if Becca or Lauren tweets or posts something questionable. Even if it directly contradicts what I wrote today. It doesn’t matter. What’s happened has happened. Becca suffered a broken engagement a little over a week ago and Arie is now dating Lauren. Anything you hear to the contrary is pure speculation and not accurate. Can’t be any clearer than that. You will drive yourself silly trying to find evidence that this report today is accurate because anyone can look at a situation and make it fit the narrative they want to fit. I highly doubt Becca is going to post nothing but sad pictures and IG stories for the next 5 weeks. So if she posts something that talks about what a great day it is, or she seems super happy, of course some conspiracy theorist will say, “Well if Arie dumped her, why would she post that?” Save it. He dumped her and is dating Lauren now. Sorry to be the bearer of bad news. One thing that I’ve yet to mention that completely slipped my mind earlier this season, is that Lauren was recently engaged. Any quick Google search of her name brings it up, but she was engaged to minor league hockey player Chris Crane and their wedding date was set for July 8th of 2017. Their wedding registry page is still kinda set up here and they had a page on the TheKnot.com set up, but it was recently deleted within the last two weeks. What I can report about that is although their wedding date was just 2 months before she left to film for Arie’s season, their relationship ended in December of 2016 and they are no longer in contact. Probably a good thing. Speaking of Lauren, she’s in a really tough position if you ask me because, well, she didn’t do anything wrong. If this is the way Arie feels and wants to pursue her, sure you can question as to why she took him back so easily, but is it wrong? To each their own. People certainly let Jason and Molly have it back in 2009. He was the most hated man in America. And that was BEFORE Twitter and Instagram were even close to what they are now. She didn’t do anything wrong, but so many people will be anti-Arie, and since she’s his girlfriend now, it’s going to be guilt by association. I mean, even I have to scratch my head as to why she’d take him back. He just dumped you at the “altar” two months ago. Whatever he says to win you back, why should you believe anything he says? I’m sure the finale will be painful to watch seeing him get down on one knee and propose to Becca, probably saying all the right things that she wanted to hear, yet, two months later it was all for naught. For Lauren to blindly follow this guy, you HAVE to question it. Who wouldn’t? (SPOILER CORRECTION – TONIGHT) – Maquel leaves early in the episode because she gets a call from her mother that her grandpa died, so she leaves the show. It's been updated in the spoilers. Which obviously happened, but the initial spoiler ended up being right because she does come back next week and is eliminated in Ft. Lauderdale. They even left a carrot dangling for the audience when after Maquel left, you hear Marikh say in an ITM that Maquel “should be allowed to come back.” That’s pretty much the giveaway that she comes back next week – and then gets dumped. I know that a few of you had some questions about the episode 7 spoilers, and yeah, when I went back and read them, they are a bit confusing. As I wrote, I know that Bekah and Jacqueline are sent home during their dates, but I’m not sure if they each had 1-on-1’s, or it was part of a group date, or what. 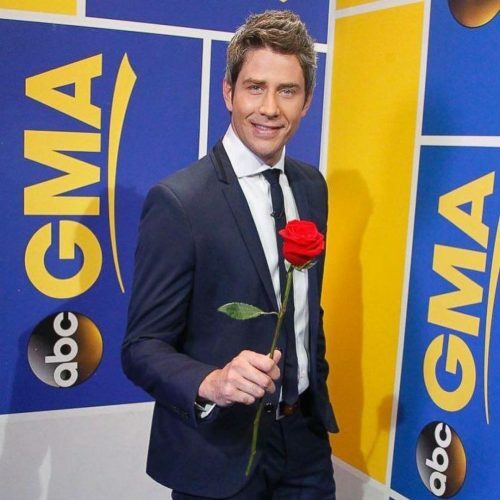 And now come to find out that we may have a repeat of Nick’s season where there was no rose ceremony before hometown dates, because Arie had already eliminated all the women. Seinne gets sent home during her time with him as well. So it’s not as detailed as it should be, but we know Jacqueline, Bekah, and Seinne all go home in episode 7 in Italy, and now I’m hearing all of them got sent home some time before the rose ceremony. So I will update that in your episode-by-episode spoilers. So there it is. I told you you were going to get a lot today. I hope I answered as many questions as I could that I thought you’d have for me, but I’m sure there’s more. Get your emails/thoughts in for tomorrow’s “Reader Emails” and also any “Dr. Reality Steve” emails as well for Thursday. It’s going to be quite the ride for the next 5 weeks, and I wouldn’t want to be in Arie’s shoes. It’s not going to be pretty. Becca will get a ton of love, Arie will get a ton of heat, and I gotta imagine Lauren will too. Not because she necessarily did anything wrong, but sure people will get on her for taking him back so quickly, or why do you believe him, how can you trust a guy like that, etc. It’s coming. I hope they know what they’re in for. I almost feel bad for Jason and Molly because now they’re going to have re-live this again, as you know media outlets will be going to them trying to get quotes about their thoughts. And you’d think ABC would at least try and get them to the ATFR to help Arie & Lauren out since they’re the only couple who have ever gone through the hell that Arie & Lauren are about to experience. We’ll see what happens, but man, get your popcorn ready. I know I will. Talk to you tomorrow.